NEW YORK — More transcripts of White House tapes from the Richard Nixon administration will be published next August, focusing on 1973, the year the world learned the recordings existed. 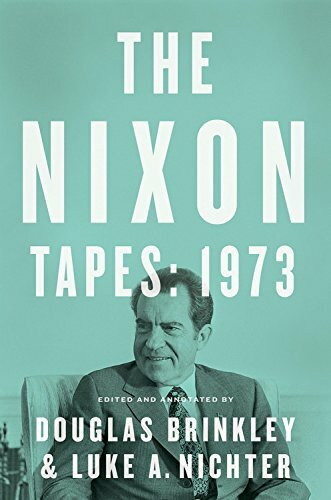 Houghton Mifflin Harcourt announced Tuesday that the new book will be called “The Nixon Tapes: 1973” and will be edited and annotated by Douglas Brinkley and Luke A. Nichter, who worked on last summer's best-seller, "The Nixon Tapes: 1971-1972." The new transcripts will capture a turning point for Nixon, who had been easily elected in 1972. Televised Watergate hearings in 1973 revealed widespread wrongdoing and the startling news that the president had been taping conversations. Nixon ended the recordings, which contained devastating evidence of White House misconduct, in July 1973 and resigned the following year.